This week was super slow for me but thats alright. I did manage to send out a lot of books to make room for summer/fall releases. Summary: Two irresistible boys. One unforgettable summer. Endless Summer is the sequel to The Boys Next Door. This edition includes The Boys Next Door & Endless Summer. GLIMMERGLASS looks good! Hope you enjoy!! I just finished Endless Summer last night and it was F-A-B. You are going to luuuvvvv it, seriously, bloody marvellous. Endless Summer sounds fantastic. I've heard really good things about Jennifer Echols's books. Glimmerglass also looks interesting. I got Glimmerglass this week too. Seems like lots of people have also gotten Endless Summer. I will be looking forward to reading reviews on this one. Glimmerglass looks awesome! Let us know what you think! Glimmerglass looks great, happy reading! I haven't read The Boys Next Door, but I've heard good things about it. Glimmerglass looks like a fun read, hope you enjoy it. Happy reading! 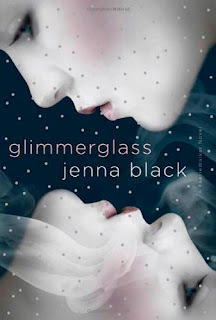 I really want Glimmerglass but my local bookstore has not stocked it yet! UGH!!! Enjoy your reads this week.